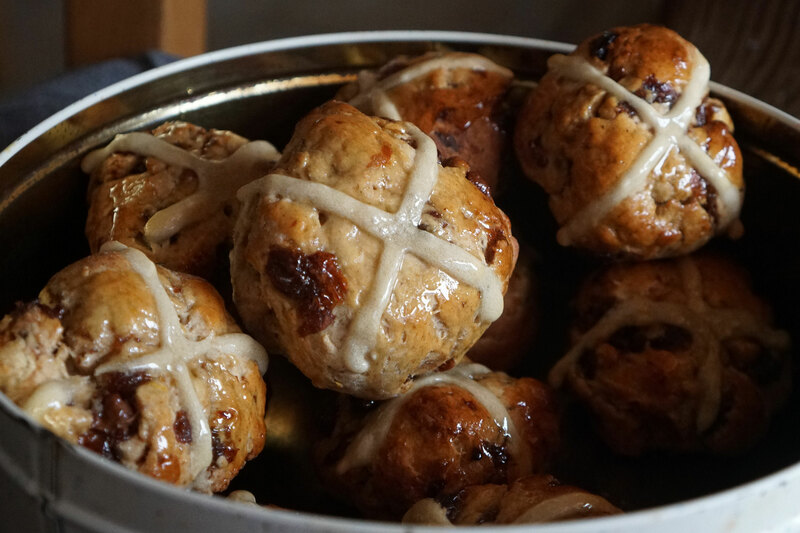 With Easter fast approaching we thought we'd have a go at one of the seasonal classics, hot cross buns! Our version uses rum soaked sultanas and chocolate chips. The sultanas become much plumper and the flavour is brought out a lot more having been soaked in rum. 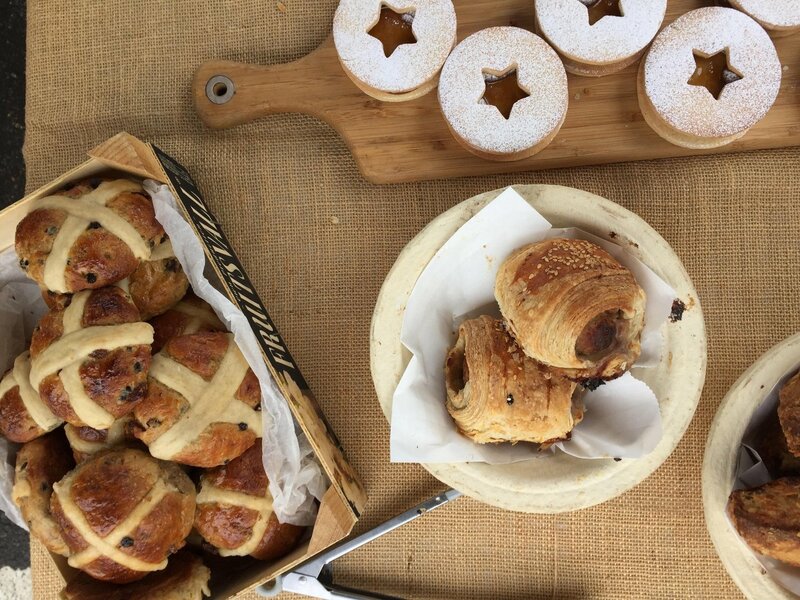 The chocolate chips are a nice pairing with the spiced fruity buns. Something a little different for an Easter treat. Mix together the flour, sugar, spices and lemon zest. Add the salt and yeast making sure to keep them apart inside the bowl. Melt the butter and warm the milk to a lukewarm temperature. Add half the milk, butter and egg to the dry ingredients. Use your hands to bring the mixture together, gradually add the remaining milk to make a soft dough. Turn out onto a floured work surface to knead. Work in the sultanas and chocolate chips. Make sure they are evenly distributed and knead for ten minutes. Place in a glass bowl covered with cling film. Leave in a warm place for 1 ½ hours to rise. Turn out onto a floured surface and divide into 12 equal buns. Line baking trays with paper and flatten slightly as you put them on the tray. Slip each baking tray into a large clean carrier bag. Lave for an hour or until the buns have doubled in size. Preheat oven to 220 C/ 200 fan. For the topping mix the extra flour with 100 ml of water, mix together to form a pipeable paste. Remove buns from the bag to pipe on the crosses. Bake for 15-20 mins until golden brown. Heat up the golden syrup in a pan and brush onto the buns when they are warm from the oven. Cool on a wire rack.